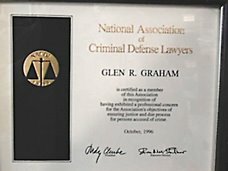 What to Expect on a Tulsa DUI, DWI, or APC By Glen R. Graham, Attorney at Law, (918) 583-4621, more information available at his web site, http://www.glenrgraham.com/ More information available at http://www.tulsacriminaldefense.blogspot.com/ Each case is different so there are some individual differences from case to case. You may have a defense to the case and you should schedule an appointment with an attorney to discuss your specific facts. My telephone number is (918) 583-4621 and I only handle Oklahoma cases. - You should be advised that you only have fifteen (15) days to request a hearing from the Department of Public Safety to attempt to save your driving privileges. You should hire a lawyer to file the proper request in the proper format to request a hearing to attempt to save your driving privileges. Your driving privileges are treated separately from your criminal case. Everyone is presumed to know the law, so if you fail to make a timely request for a hearing, you will have waived you right to a hearing on your drivers license. It may be possible to use the drivers license hearing as a “discovery tool” to see what the police officer will testify to in your case in the criminal case. Again, if you fail to make a timely request for a drivers license hearing then you will have waived your right to a hearing on your drivers license. - Usually, the court is going to require a “substance abuse assessment” before the case can be finalized or any deals can be worked out. Also, if you score sufficiently good on the assessment, you might be able to argue that you do not have a problem and use it to obtain a better deal or as a mitigating factor. Any DUI school can give you a substance abuse or alcohol assessment which costs $175.00 dollars. Most take payments but will not give the assessment until they have been paid. The court will order you to comply with any requirements stated in the assessment. If it is determined that you do not have a problem with substances or alcohol, then this information can also be conveyed to the court. Normally, the court will pass the case to give you time to complete the assessment and to pay your lawyer. - Most lawyers expect to be paid prior to completion of the case. At some point a plea bargain may be worked out. Normally, if this is your first offense and you do not have a "bad" criminal record and do not have other offenses and if the facts are right, then the court will put you on a 4 month program for you to complete certain requirements during those 4 months. The normal requirements are the DUI school, victim impact panel, (if under 25 yrs – then the Youthful Offender Program), and sometimes community service plus fines and costs. Each case is different and it depends upon the recommendations of the assessment and the court. However, sometimes the prosecutor will agree to a straight deferred sentence, if it is your first offense and you do not have a prior criminal record. Each case is different and must be evaluated on it's individual merits. Was there an accident? Does the defendant have any prior criminal record? What was the breath result - high or low or refusal? What were all the circumstances involving the offense and what traffic laws were violated? Each case is different and you must talk to a lawyer in person to determine what might be an acceptable outcome on the case. Do NOT TAKE A CHANCE - when your freedom is involved - talk to a lawyer in person!!! In some city municipal courts, the prosecutors are not willing to agree to deferred sentences but will agree to a program to reduce to a lesser charge such as impaired driving or reckless driving. Each case is different and it depends on which court the case is assigned to and who the prosecutor and Judge assigned to the case and what are the facts of the case and circumstances of the defendant. Each case is different, you should talk to a lawyer in person. 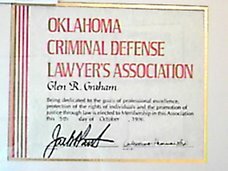 You can call me at (918) 583-4621 - Glen R. Graham - Attorney at Law. If you are under 25 yrs, then you may qualify for a YDD program which results in a “deferred sentence” which means upon successful completion of the court requirements (including probation) then your case is dismissed and expunged upon payment of the costs and assessments. If you are over 25 yrs, then you may qualify for an adult version of the program which results in either a deferred sentence or a reduced charge to a lesser offense and a fine and probation. 3) a strong accountability system to assure that you are doing what you say you are going to do and the court has agreed to. A recovery plan incorporating these elements will be welcomed in the criminal justice system. We offer substance abuse treatment in an outpatient setting for all adults. We accept Medicaid, assist with private insurance, and have very reasonable self-pay rates. We have flexible hours before and after work. We specialize in opioid (painkiller) and methamphetamine addiction. OBNDD has estimated 87,000 Oklahomans are painkiller addicts. SAMHSA announced in March that Oklahoma leads the nation in painkiller addiction. The mass of these addicts are below the threshold of our vision because they are able to manage their addiction as well as other aspects of their lives due to cheap and easy access to drugs through online pharmacies. The criminal justice system, as well as social services, and healthcare, are about to be overwhelmed because the cheap and easy access to drugs is being shut down. These people will become sick and despearte in a hurry which catalyzes a progression of consequences. The lack of detox beds are already a bottleneck to recovery. How will we deal with this tsunami of painkiller addiction? The SAMHSA evidence-based best practice, Medication Assisted Treatment, Treatment Improvement Protocol 43, can often transition active using painkiller addicts to MAT treatment bypassing detox. This means that the addict maintains their job, their ability to pay for legal fees, pay rent, keep their home, and keep their family intact. The progression of consequences is halted. The addict and their family are saved grevious pain and suffering. Our already depleted resources are not further inundated and taxpayers are spared. Everyone wins. 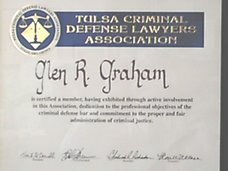 Thank you Tulsa Criminal Defense Attorney for post on DUI DWI and informaiton about my drivers license. I did not know I only had 15 days to request a hearing to try to save it. How come the police officer did not tell me this? I will contact you. You are welcome, let me know if I can help you. Sounds like you need to talk to one of the lawyers on this blog. Paul, the information about the "15 days" is provided on the back of the DUI affidavit which was most likley served to you on the night of your arrrest. 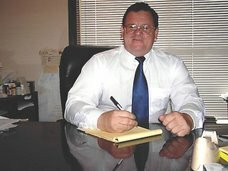 Lee Martin, licensed Tulsa therapist or Tulsa counselor provides counseling for drug and alcohol addictions and he has a web site at http://www.leemartinlpc.com or call (918) 381-3859 to schedule an appointment. Accurate A.D.S.A.C. Services, Inc offers drug and alcohol assessments, DUI/ADSAC classes, Substance Abuse/Relapse Prevetion Groups, Anger Management Groups, Coping Skills Groups. www.accurateduischool.com - 918-960-3434... Our goal is to strengthen individuals and families through professional and courteous education/counseling by acting as an advocate with a sense of understanding and compassion for others!